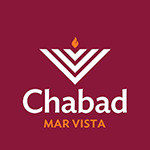 "The Kiddush" has become a vital part of Chabad of Mar Vista as it does much to create friendships, community and the warm Shul atmosphere in which we take great pride. The Kiddush can be sponsored in honor of a special occasion (birthday anniversary, Yahrtzeit), family member, friend or in honor of the community. Yes! I would like to Sponsor a Kiddush!